On December 31st, 2011, Mr. Fortier severed his long-time relationship with Norton Rose OR, (formerly Ogilvy Renault) “the Firm”. He was then Chairman Emeritus of the Firm. From 1992 until 2008, he was Chairman of the Firm. Since January 1st, 2012, Mr. Fortier practices law in Montréal as an independent mediator/arbitrator. He also has offices in Toronto and London. He is recognized as one of the top arbitrators in the world. Mr. Fortier has served as Chairman or party-appointed arbitrator on more than 300 arbitral tribunals, either ad hoc or constituted by different arbitral institutions, including the International Court of Arbitration of the International Chamber of Commerce (Paris), the London Court of International Arbitration (LCIA), the Hong Kong International Arbitration Court (HKIAC), the Singapore International Arbitration Centre (SIAC), the China International Economic and Trade Arbitration Commission (CIETAC), the American Arbitration Association, the Court of Arbitration for Sport, the Zurich Chamber of Commerce, the International Centre for Settlement of Investment Disputes (ICSID), the Canadian Commercial Arbitration Centre, the British Columbia International Commercial Arbitration Centre and the Permanent Court of Arbitration in The Hague. He has served as Chairman or party-appointed arbitrator on more than 50 Investor-State International Tribunals. Mr. Fortier has also served on more than 50 panels of the Court of Arbitration for Sport (CAS) in Lausanne and the Sport Dispute Resolution Centre of Canada (SDRCC). He is a former Chairman of the SDRCC. He is also a member of the International Sport Resolutions’ Panel of Arbitrators and Mediators. From 1984 to 1989 he was a member of the Permanent Court of Arbitration at The Hague. From 1998 to 2001, he was President of the London Court of International Arbitration (LCIA). In May 2012, Mr. Fortier was appointed Chairman of the World Bank’s Sanctions Board. He served in that capacity until September 2015. In August 2013, Mr. Fortier was appointed a member of the Security and Intelligence Review Committee of Canada and sworn in as a member of the Privy Council of Canada. In August 2016, Mr. Fortier was appointed Chairman of the Enforcement Committee of the European Bank for Reconstruction and Development (EBRD). From July 1988 until January 1992, Mr. Fortier took leave from his law practice to take up an appointment as Canada’s Ambassador and Permanent Representative to the United Nations in New York. During his term at the United Nations, Mr. Fortier was Canada’s Chief Delegate to the 43rd, 44th, 45th and 46th Sessions of the UN General Assembly. In September 1990, he was elected Vice-President of the 45th General Assembly. From January 1989 to December 1990, Mr. Fortier served as Canada’s Representative on the Security Council of the United Nations and in 1989 he was President of the Council. As a trial lawyer with extensive experience in the practice of commercial, corporate and public international law, Mr. Fortier has pleaded important cases before all court jurisdictions in Canada and before domestic and international arbitral tribunals including the International Court of Justice in The Hague. 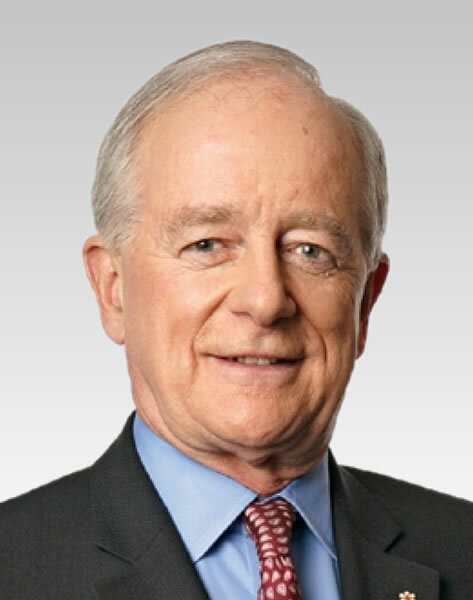 He has also served as counsel to many Royal Commissions and Commissions of Inquiry in Quebec and Canada. He then attended the University of Oxford as a Rhodes Scholar where he obtained an advanced degree in common law.